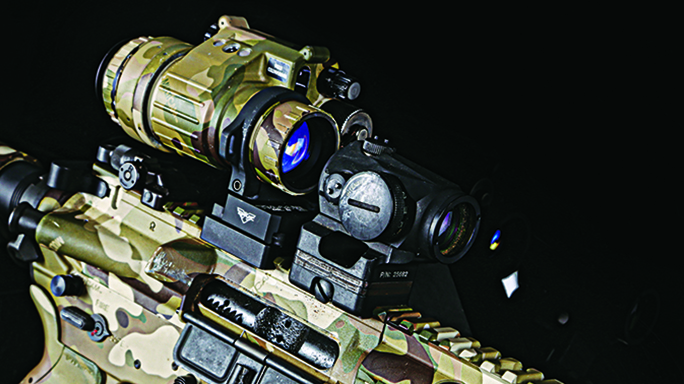 Are dedicated night vision scopes right for you? 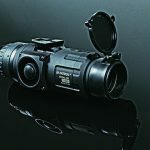 What about clip-on night vision devices (CNVDs)? Here are 10 things you need to consider before making your pick. Night-vision monoculars are not intended to be used with a magnified weapon optic. The PVS- 14 is most effective as a hands-free system. 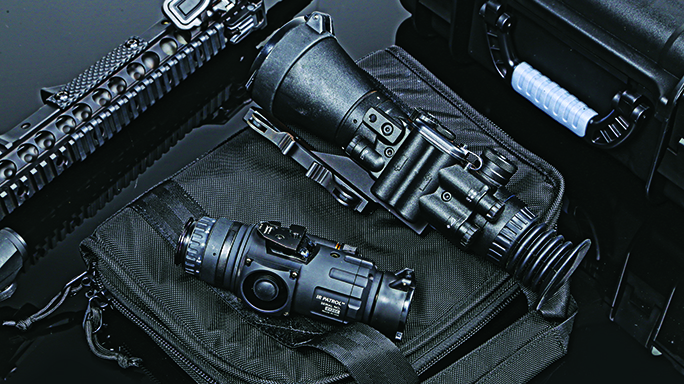 Dedicated night-vision scopes such as the Night Optics USA 6x D790 Gladius (left) and 4x D740 Argus (right) may not require the use of an infrared illuminator to augment the ambient light. Here’s what the view looks like through a Night Optics 6x D790 Gladius dedicated night-vision scope at a target 50 yards away without an IR illuminator. A look at a construction site using an AN/PVS-27 MUNS clip-on night-vision device in front of a Nightforce 3.5-15x56mm NXS scope at 12x magnification from 660 yards away. It is recommended that buyers do a lot of research before spending thousands of dollars on night-vision devices. IR Defense Corporation’s IR Patrol M300W Thermal Weapon Scope can be used as a standalone scope or clipped on in front of low-magnification weapon optics. 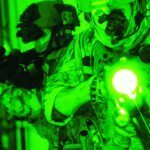 For many of us, that familiar green glow of night vision immediately conjures up images of special operations forces on a covert mission in some far-off land. 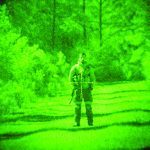 Night vision devices have come to symbolize military operations for many because they are all over the news and even in movies and video games, But what about using night vision for non-military applications? 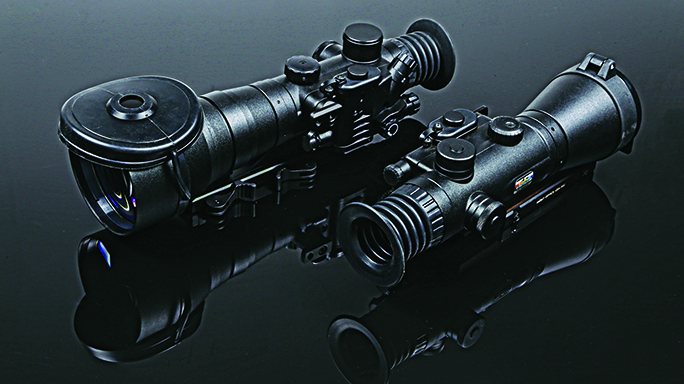 Night vision gear such as monocles, scopes, goggles and even thermal-imaging devices have been on the civilian market for some time now. 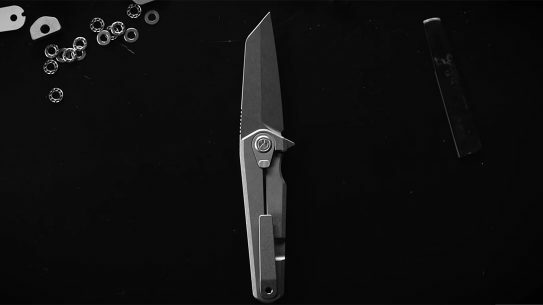 Their significance in the search-and-rescue and hunting communities is well documented, and they can truly be effective force multipliers when used for home-security and survival situations. When these devices are coupled with weapons, specifically long arms, some people (finger directly pointing at some of our staff) can get confused about what type of device is optimal for the work one is doing. We are casual users of night vision devices, namely the PVS-14-type monocle. It’s our go-to device when shooting or navigating in near total darkness when flashlights aren’t optimal. The PVS-14 navigates and shoots very well when mounted to a helmet and reasonably well mounted behind a red-dot optic directly on a rifle. But what about dedicated night-vision scopes? Are there advantages to using them over our trusty old PVS-14? What’s a “clip-on” night vision device? Come to think of it, we’ve never touched thermal imagers before, either. They look like they’re coming into their own now. What should we know about them? Luckily for us, we have the experts at Tactical Night Vision Company (TNVC) on speed dial. 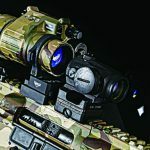 We spoke to Charles “Chip” Lasky, director of operations at TNVC, to help clear up some of the confusion and answer our questions about using night-vision devices. 1. 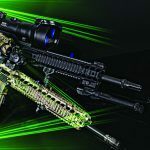 What are the options for shooters who want to add scoped night vision capabilities to their rifles? 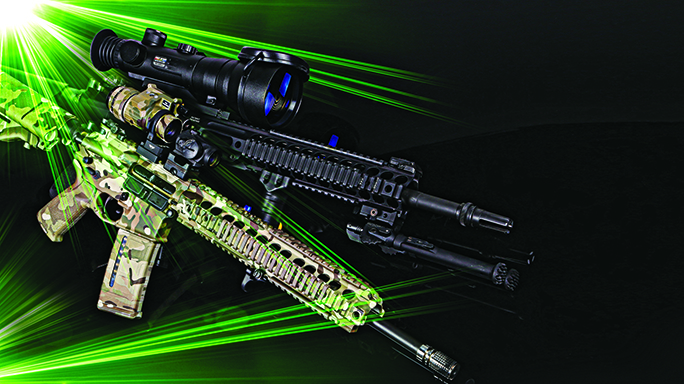 There are really two main ways to add image intensification to a precision rifle setup: dedicated night-vision scopes and clip-on night vision devices (CNVDs). 2. Can night vision devices like the PVS-14 monocular be used to augment or piggyback behind day scopes? Night-vision monoculars are not intended to be used with a magnified weapon optic. The PVS-14 is most effective as a hands-free system. Because they are designed to be on the head 99 percent of the time, weapon-mounted applications are a bit of an afterthought. They can be mounted behind a night-vision-compatible red-dot sight, but scope mounting is not advised. Piggybacking a PVS-14 on a scope is never a good idea unless all other options fail and it’s life or death. 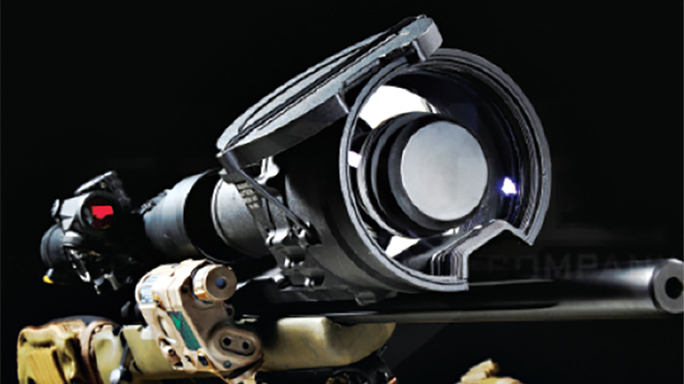 The device should be worn on the head while aiming with a weapon-mounted infrared laser. 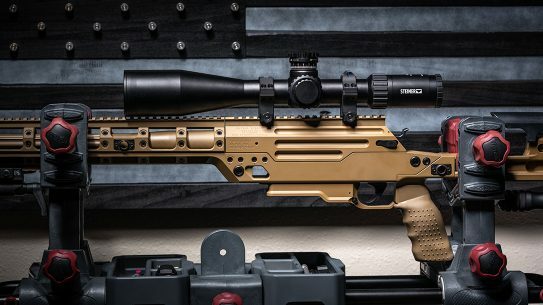 Putting the goggle on the gun behind a red dot is okay, since you do not need to gather all the extra light to aid in magnification, but it has more drawbacks than advantages. When your goggle is on the gun, it’s married to the muzzle. 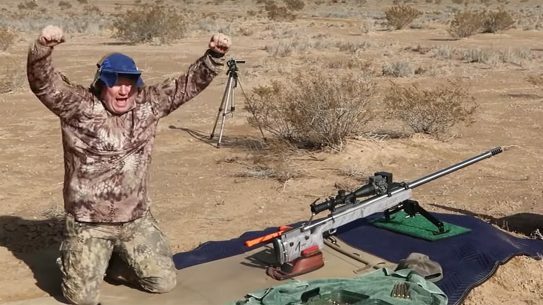 I don’t care how much time you spend in the gym—you will get smoked quickly trying to keep a 10-pound rifle shouldered while you walk or move quickly in the field. Furthermore, you will have the tendency to get sucked into the night-vision image as you move. 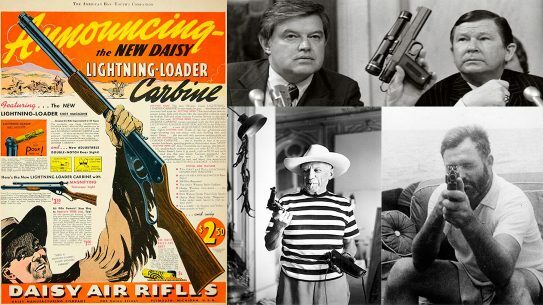 This will undoubtedly lead to eventually breaking one of the golden rules of safe firearms handling: Never cover anything with your weapon’s muzzle that you are not fully prepared to destroy. 3. What are the advantages and disadvantages of CNVDs? CNVDs have a lot of advantages. They are factory-collimated to be placed in front of a magnified scope. Before I extoll the virtues of this setup, I must caveat it with a word on quality: Collimated CNVDs are expensive to build correctly. 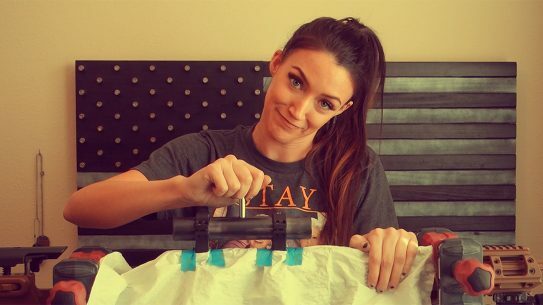 They are labor- and time-intensive, and must be assembled by a highly trained technician. CNVDs purchased by Uncle Sam retail for around $9,000 to $10,000 for starters. They cost this much because they actually work and stand up to abuse in the field. The biggest advantage to a CNVD is the inherent versatility it affords the user. The ability to use a single weapon system in the field day or night is invaluable. It also allows the shooter to use a familiar sighting system. CNVDs attach to the rail in front of the host day scope, so the shooter uses the same reticle system. You can be out in the field all day, stacking hogs or coyotes (or bad guys, if you’re a warfighter), and then simply attach the CNVD when the sun goes down and you’re back in business. 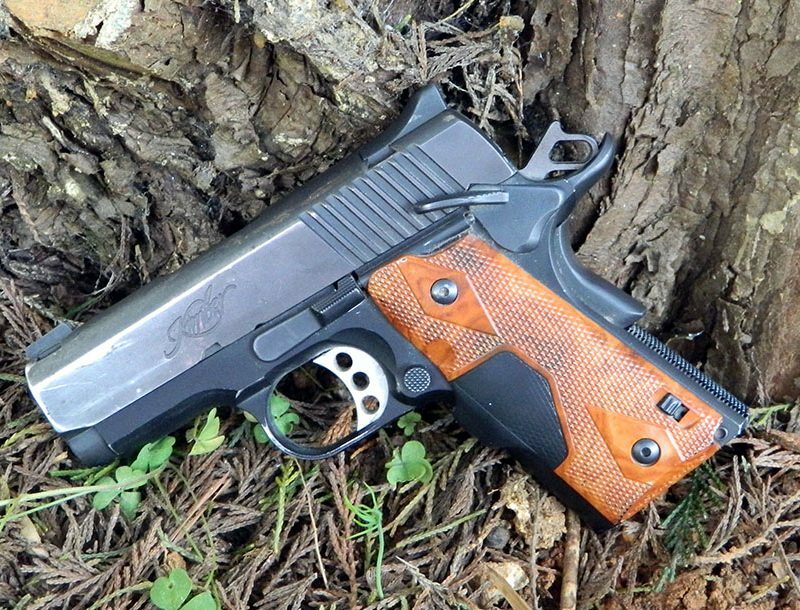 Compare this with a dedicated night-vision or thermal scope requiring the shooter to carry a second long gun into the field, and the value is apparent. 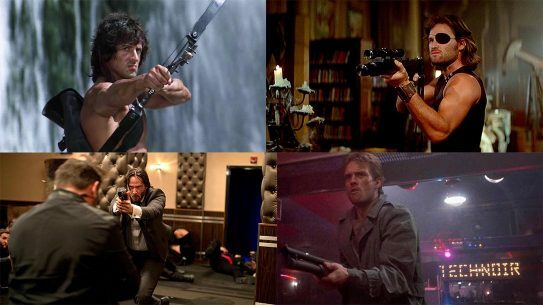 Another advantage with a CNVD is the ability to work with scopes of different powers. But overall, you can run 2.5-10x at different magnification levels. The disadvantages of the CNVD revolve mainly around the price—you have to pay to play with a CNVD. There are cheaper units out there, but they tend to be cheaply made. Another more tangible disadvantage is that the CNVD requires more lens stack-up than a dedicated night-vision scope. The more lenses that light must pass through before it gets to your eye, the more it will be degraded. This means that, technically, the CNVD image will not be as bright as [through] a dedicated scope. There’s also added weight and mass. 4. 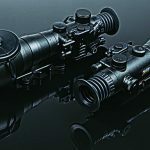 What are the advantages of dedicated night-vision scopes? Are there any disadvantages? Dedicated night-vision scopes are nice because they are more compact and generally produce a brighter image than clip-on sights. As we discussed earlier, light degrades as it passes through glass. Dedicated night-vision sights have fewer lenses than a CNVD/day-scope combo, so you will have a brighter image right off the bat. 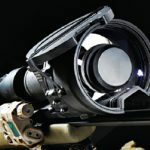 The obvious benefit is clear, but the not-so-obvious benefit is that a dedicated night-vision scope may not require the use of an infrared illuminator to augment the ambient light. Infrared illuminators are basically IR flashlights that can only be seen through night vision. When Mother Nature doesn’t want to play ball with enough ambient light to provide optimal system performance, an infrared illuminator is recommended. It’s always advisable to have an IR Illuminator in your tool bag, but you don’t want to rely on it all the time. This is especially true in a tactical situation where the opposition may have night vision. So, if you’re on a two-way range, not having to rely on an IR illuminator may be an advantage. Another obvious benefit for dedicated night-vision scopes is the price tag. 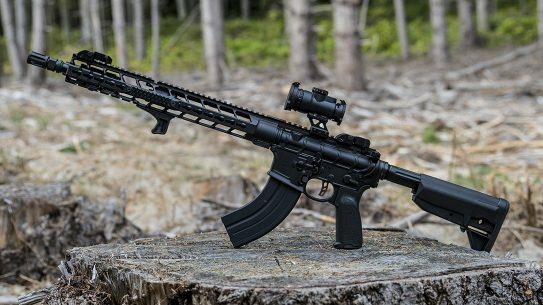 A good current-generation night-vision scope can start at around $4,400 on today’s market—half the price of a typical CNVD. The downside of dedicated night-vision scopes is mainly the fact that they are dedicated. 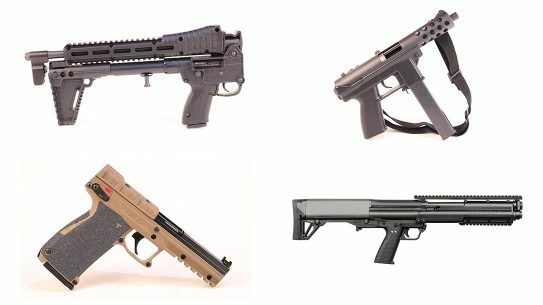 While some come with QD mounts, I never recommend that shooters rely on them completely. Mechanically speaking, there is no such thing as absolute return to zero. 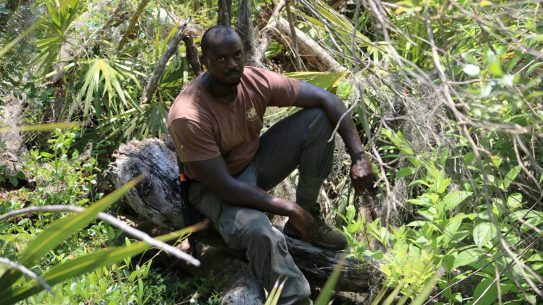 This means that professionals would need to bring a separate, dedicated night-vision rifle to the fight. For hunters, it’s not going to be nearly a life or death situation, so it’s not as much of a consideration. Dedicated night-vision scopes are also fixed-power, usually 4x or 6x. 5. 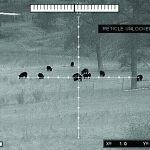 What effective distance can a shooter expect to get out of a night-vision-based targeting system? There’s no simple answer to this. 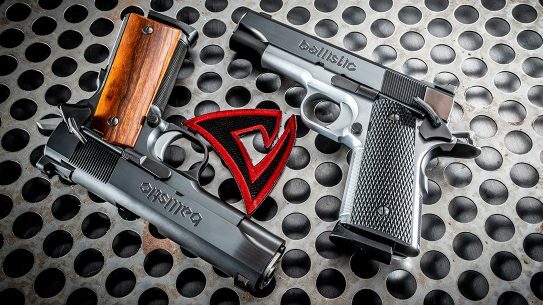 Like suppressor companies touting decibels, night-vision scope companies like to publish target detection and identification ranges. But just like suppressor companies’ data, these ranges are completely subjective and dependent on an endless list of unrepeatable factors. Image-intensification tubes are not magic: Their performance is directly related to ambient conditions. Tubes amplify light; the more light there is, the better the image will be. So if we’re talking a 60-percent moon with clear skies, your target identification range will easily be 100 to 200 yards farther than on an overcast night. Humidity also plays into the equation. Air that is thicker with humidity will impair performance. 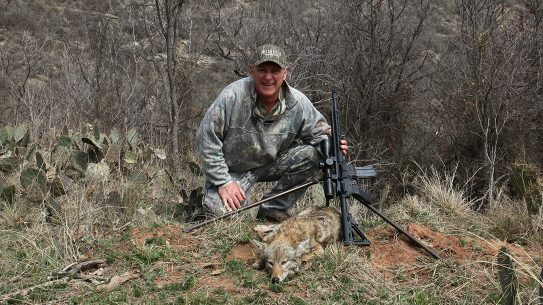 So, a guy hunting coyotes outside of Seattle, Washington, will generally have poorer overall performance than someone using the same device to hunt hogs outside College Station, Texas. That’s not to say night vision doesn’t work in darker conditions. It’s important for people to understand that there’s no true metric to measure night vision range performance. That said, it is entirely possible for dedicated night-vision scopes with Gen3 tubes to reach out to 400 to 500 yards for target identification and 800 to 1,000 yards for detection. 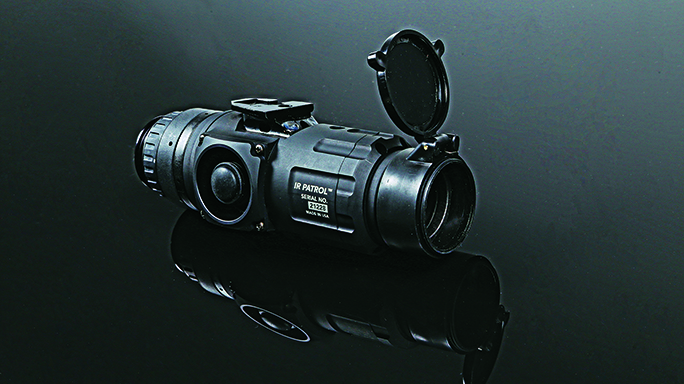 Clip-on night vision devices typically have the ability to reach out to longer distances if they are used in conjunction with higher-magnification day scopes. 6. 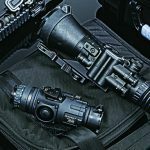 Does the magnification power of a scope affect night vision targeting? It certainly does. This is also true of the quality of the day scope. Different CNVDs can be used at different maximum magnifications. The larger the CNVD’s objective lens, the more light it can gather and the higher magnification that is possible. For longer-range CNVDs like the AN/PVS-27 MUNS, I recommend shooters employ a day scope with a minimum 40mm objective to achieve the best results. Regardless, higher magnification means more strain on the CNVD, especially under lower light conditions. 7. 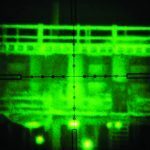 Do you have any tips that can help our readers choose a night vision system that’s best for them? The most important thing to remember is to “buy once, cry once.” There are plenty of cheap night-vision devices on the market built by foreign companies with U.S. faces. They make all sorts of claims about their products being comparable to military-issued devices for a fraction of the cost. But buyers need to ask themselves, “If that is true, why isn’t the military using that equipment?” The answer is fairly obvious. Now, that’s not to say all foreign-based night vision is bad. But buyers need to do a lot of research before spending thousands of dollars. The next thing to think about is your mission. If you’re hunting hogs rather than terrorists, you may not be able to justify a $10,000 CNVD. If you can afford it, great. If not, a dedicated night-vision scope may be for you. I’m a big fan of 4x dedicated night-vision scopes like the Argus D740 for hunting. More magnification is not always the answer. Remember: Less magnification equals a wider field of view (FOV). 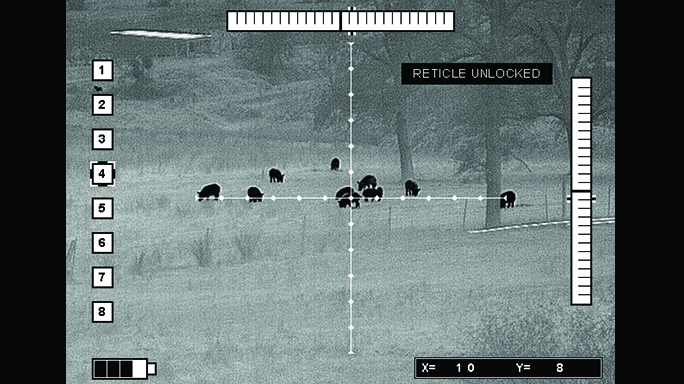 FOV is a huge benefit when going after hogs, because most engagements will be less than 100 yards with multiple targets. High-power magnification tends to make your world very small. I also recommend getting the most you can afford. For professionals, do not get anything less than Gen3. There’s too much at stake to cheap out on gear. For seasoned night-vision hunters, I’d recommend staying in the Gen3 category as well. 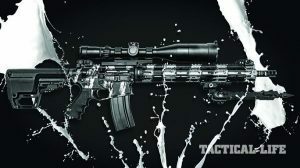 But for beginners, a Gen2+ scope is perfect for getting your feet wet. I’d highly recommend staying away from anything below that mark. 8. Can you share the most important specs/features to look for when choosing a night vision scope? As far as what to look for, you should start out with research into the manufacturer. 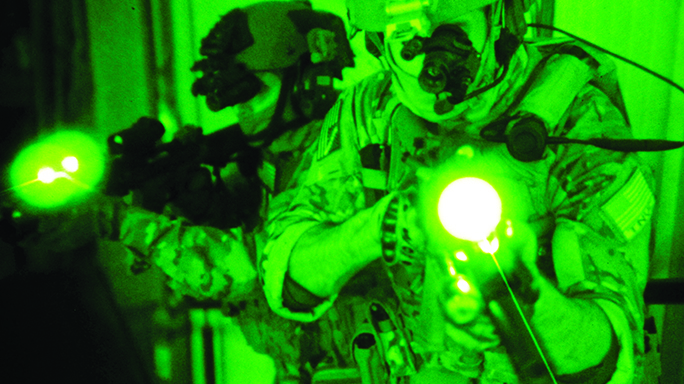 Unlike digital technology, night-vision image-intensifier tubes are not constantly dropping in price. It’s actually quite the opposite. So if you see an unusually cheap price with lofty performance claims, be wary. Next, you want to make sure that whatever you buy comes with a factory data sheet for the image tubes. There are only two companies that make image-intensifier tubes in the United States: ITT Exelis and L-3 Warrior Systems. Both of these companies make Gen3 tubes exclusively. Other system manufacturers will buy from them, but nobody else in the U.S. makes tubes. Regardless, even foreign tube manufacturers supply factory data sheets. These data sheets are like birth certificates for the tube and supply all data concerning its performance. If you buy a system that doesn’t come with a factory tube data sheet, that’s suspect. There are a lot of specs on these sheets, but the most important ones for beginners to focus on will be “lp/mm” and “SNR.” Lp/mm is “line pair per millimeter,” and it’s the measurement of the tube’s resolution. For Gen2, I would make sure it’s at least 45 to 50, and Gen3 should be at least 64. SNR is “signal-to-noise ratio,” and it’s the tube’s low-light resolution. Basically, the higher this number, the better the low-light performance you will have. 9. Are there any magnified night vision shooting tips that you can share? I always recommend having a good infrared illuminator for long-distance shooting. 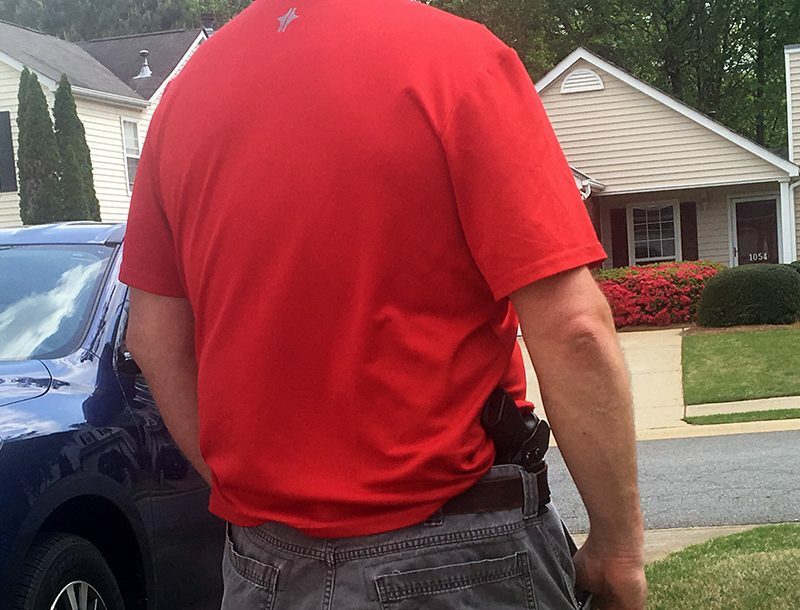 You never know when you might need to light up an area to identify a target. That said, use it judiciously in the real world, since some bad guys may have night vision, too. I’d also suggest resting your eye every 15 minutes, as the constant barrage of night-vision light can cause fatigue. This next one is obvious, but should be mentioned: Always have 100-percent-positive ID on your target before taking the shot. 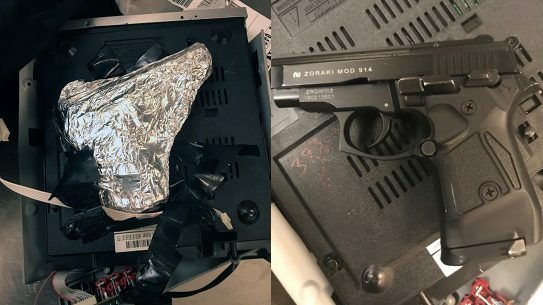 If something is just outside your ID range, don’t make a guess. Maneuver closer and get a better eyeball on it. 10. How should thermal imagers be used? 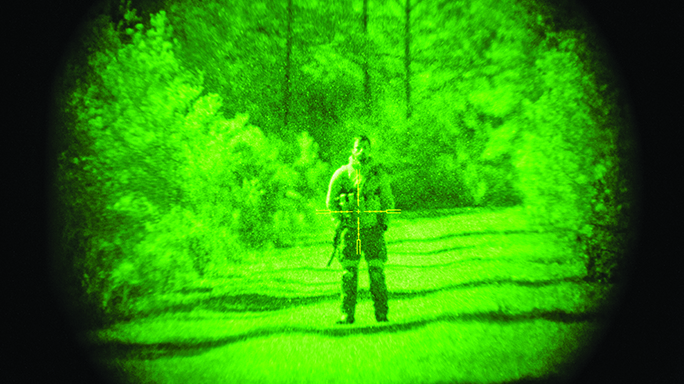 Night vision is best used in conjunction with thermal imagers. 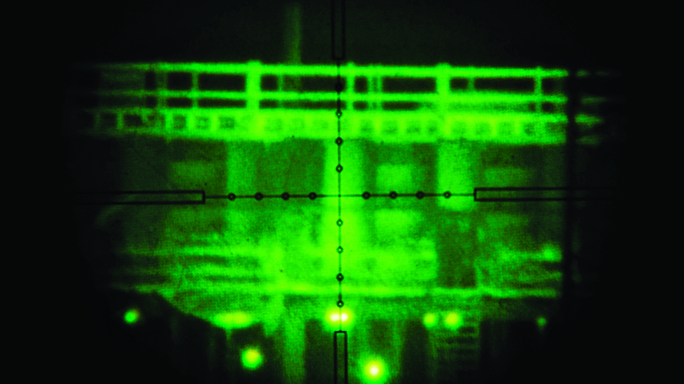 Night vision is great for identification, but it’s not as good at detection. After all, the same camouflage that works during the day will work just as well at night for animals. Thermal is great for detection but falls down in identification. You cannot see through glass with thermal imagers, nor will they allow for positive facial recognition or the ability to read print on signs. They will pop the heat signature of an animal out of the foliage around it, but you want to make sure you ID that animal before you shoot it. Even in the open, it can be hard to tell the difference between a coyote and a dog. Calves can be mistaken for hogs, too, which could be a $10,000 mistake. Funds permitting, I recommend having a thermal imager for detection along with a night-vision device for identification.